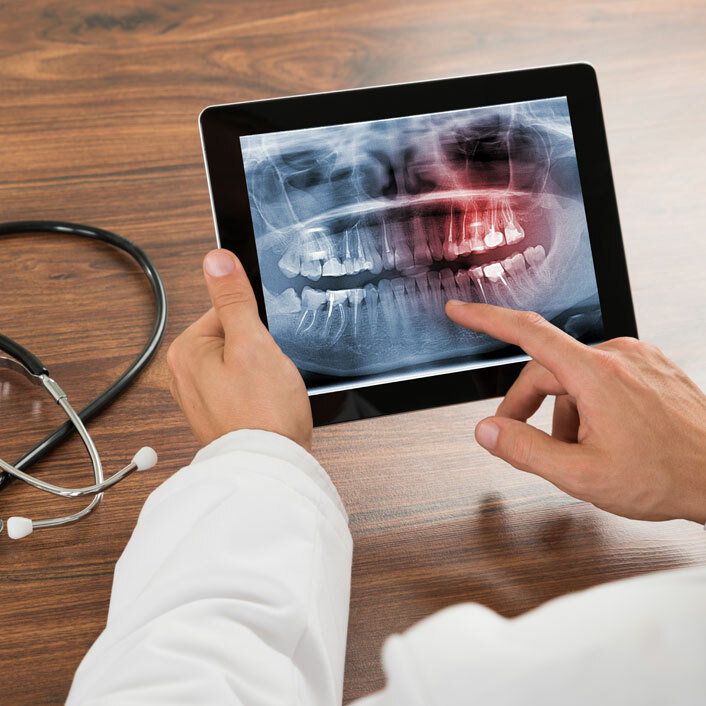 Digital radiography uses an estimated 40-90% less radiation than conventional film x-rays. Digital x-rays use a digital image capture device in place of traditional film, sending an image immediately to a computer. The result is a highly-detailed image of the mouth, and its contrast and resolution can be enhanced to more easily for Dr. Salud to diagnose dental problems and determine the very best treatment for each case.